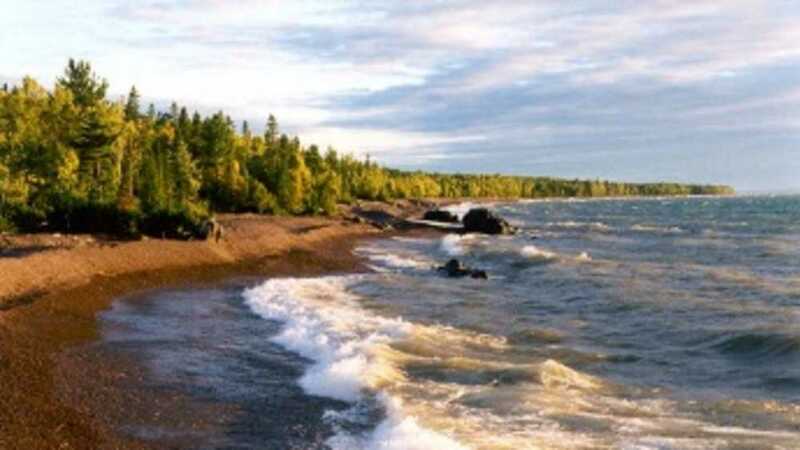 Seven Mile Point, a North Woods Conservancy site, contains 32 acres and 1,854 feet of Lake Superior sand, bedrock and cobble shoreline. Located northwest of Ahmeek, off the Five Mile Point Road, access is via Sunset Bay Road. Fires, camping, glass containers and aggressive dogs are not allowed. Entry for non-NWC members is $5. Open from noon to sunset on weekends from May 15 to October 15, provided an NWC volunteer host is present.